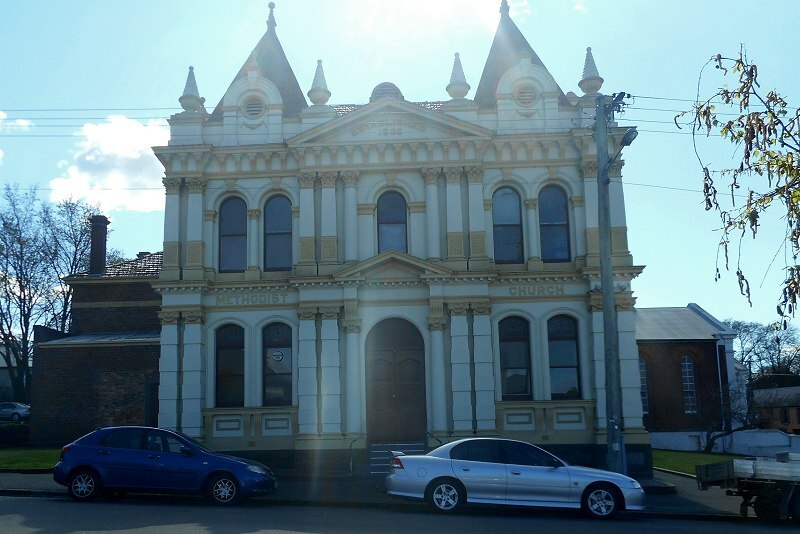 76 Margaret Street, Launceston. Google Maps. Opened 1898 as Catholic Apostolic (Irvingites). 1913 sold to Christ of Church congregation (established 1884, now at Door of Hope). 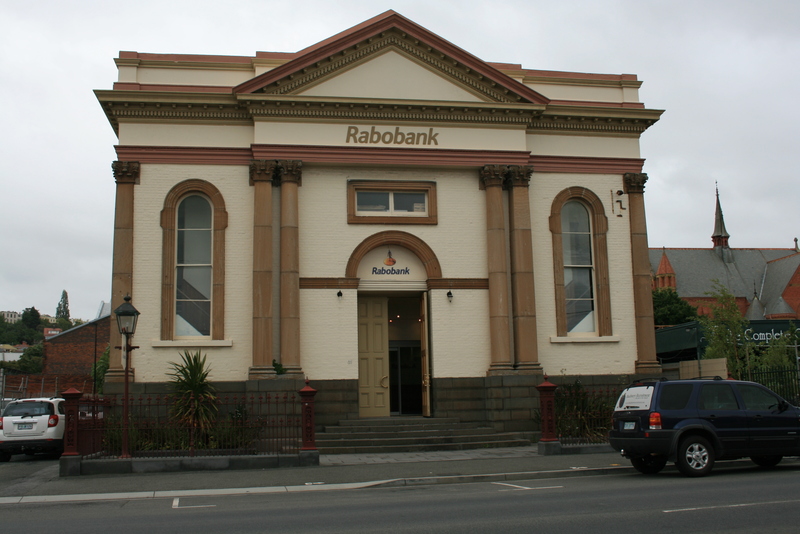 45 Frederick Street, Launceston. Google Maps. 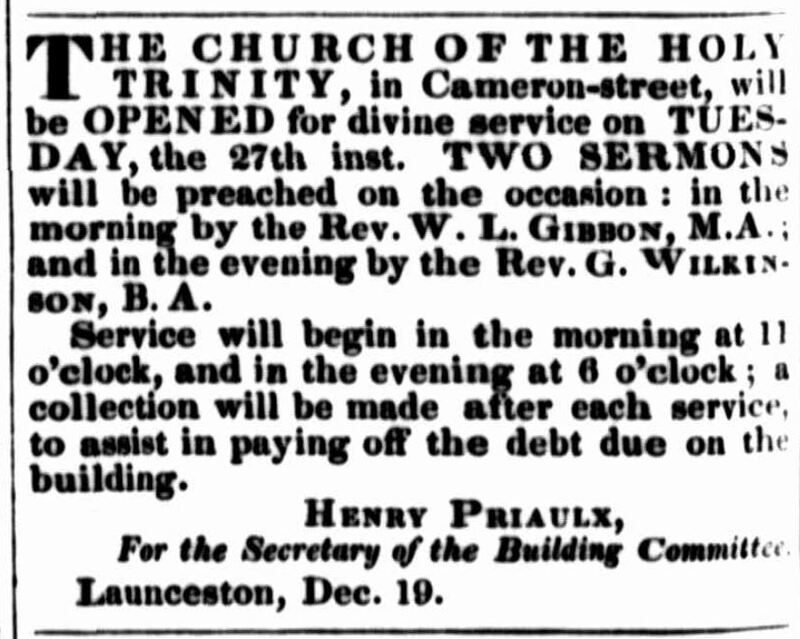 Launceston Examiner, 5 December 1857. 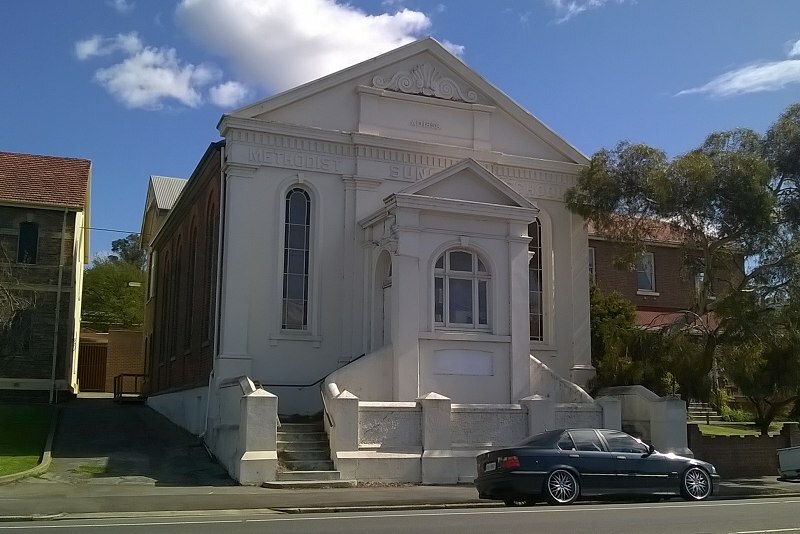 Originally built in 1889 as a Sunday School for the adjoining Wesleyan Chapel. In 1917, converted to a church. and the older building became the Sunday school. Cnr Balfour & Margaret Sts. Margaret St, Launceston. Google Maps. Margaret St, Launceston. Google Maps. Opened 1858 to replace a smaller, wooden chapel. 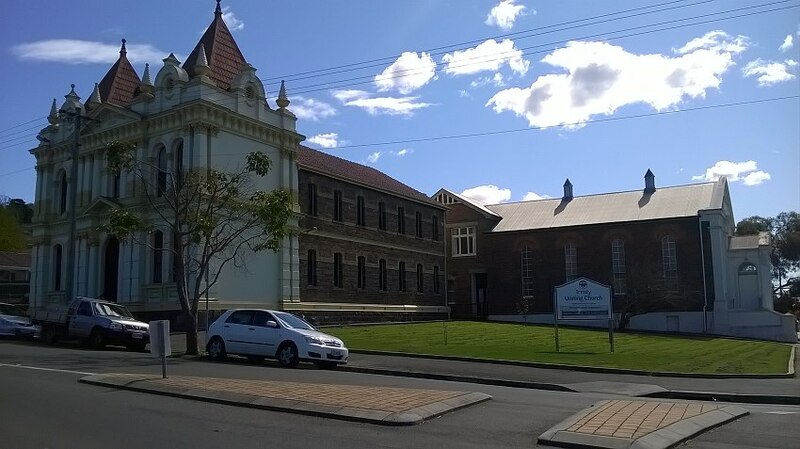 In 1889, a larger building was constructed for use as a school, fronting Balfour St (left and behind in photo). 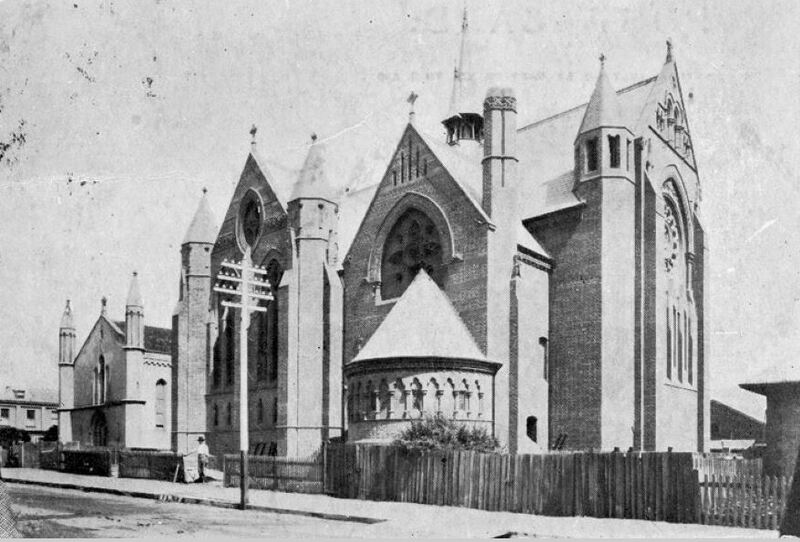 In 1918, the new larger building was converted for use as the church building, and Margaret St chapel became the Sunday School. Replaced in 1858 by a new building that was later the Sunday School, fronting Margaret Street. 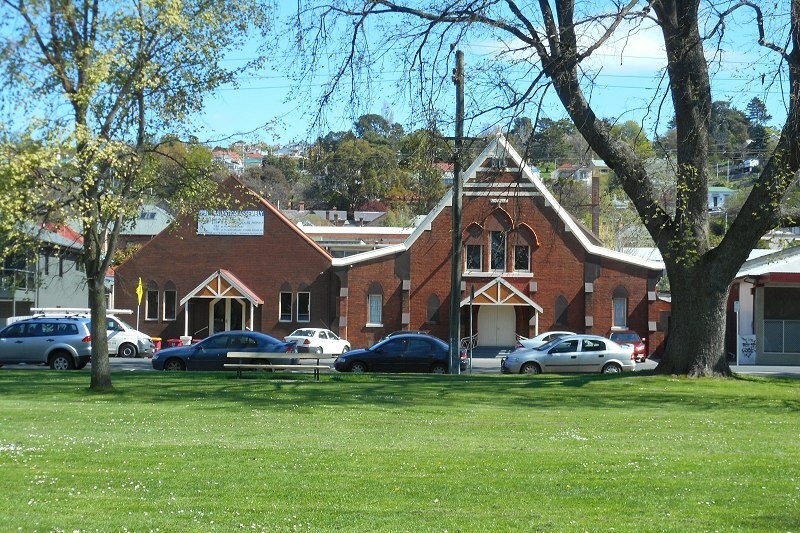 In 1889, a larger building was constructed for use as a school, fronting Balfour St. In 1918, this was converted for use as the church building, and the smaller building on Margaret St became the Sunday School. On June 30, 1836, it was decided to erect a chapel on the land at once with the means which may be realised, “the size to be according to the sum obtained on condition that the sanction of the district meeting be obtained.” There is no record extant of the actual opening, but Margaret-street appears on the plan for January, 1837, and in April of the same year it was decided that preaching be held at Margaret-street every Sunday afternoon. The building was of wood and had been erected at a cost of £250. It stood behind the present building. 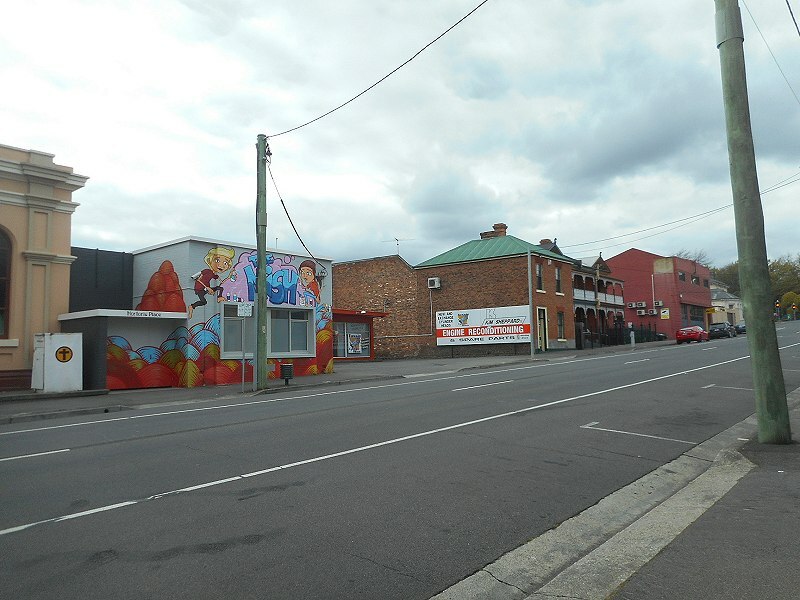 Tamar St, Launceston. Goole Maps. Opened 1837. Adjoining hall opened 1896. 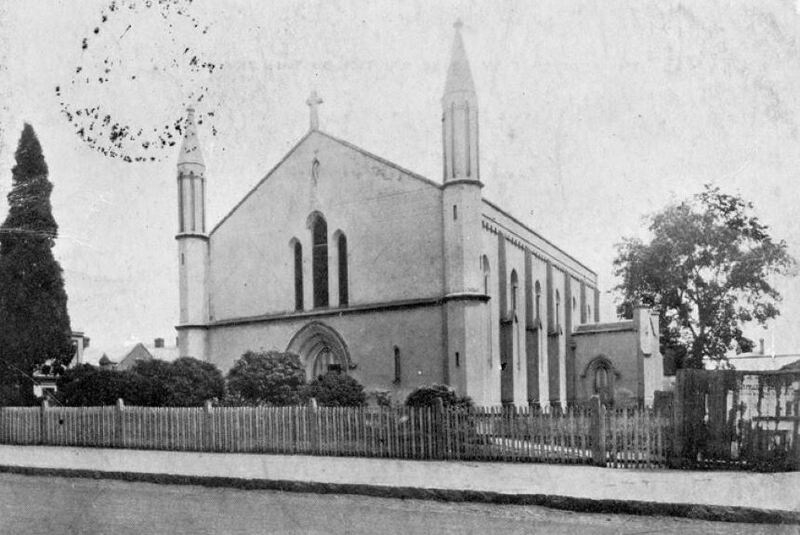 Church demolished 1920. The Congregationalists were represented in the first instance by the Rev. 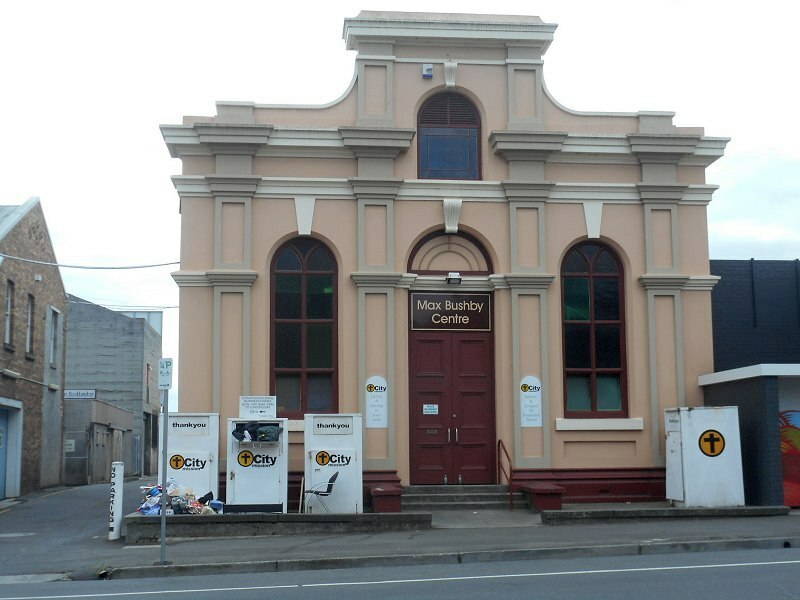 Charles Price, who arrived at Launceston in September, 1832, and on the 23rd of that month preached for the first time in the Court House, which was then in Cameron-street, near where the post office now stands. After staying four months, Mr. Price went to Sydney, re turning in 1836. 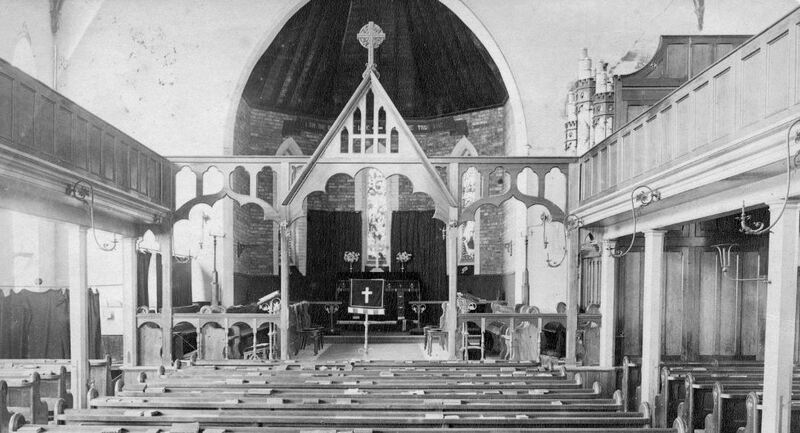 He obtained a grant of 3/4-acre of land in Tamar-street, and in September of the following year the Tamar-street Church was erected at a cost of about £1300. 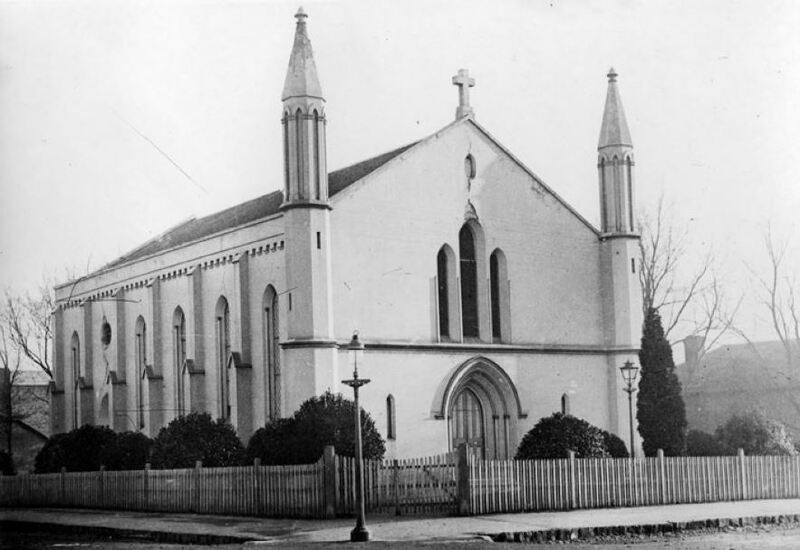 In 1842 a second Congregationalist Church (the present “Milton Hall”) was opened by the Rev. John West (Tasmania’s historian), who arrived in the colony in 1838, having been sent by the Colonial Missionary Society. 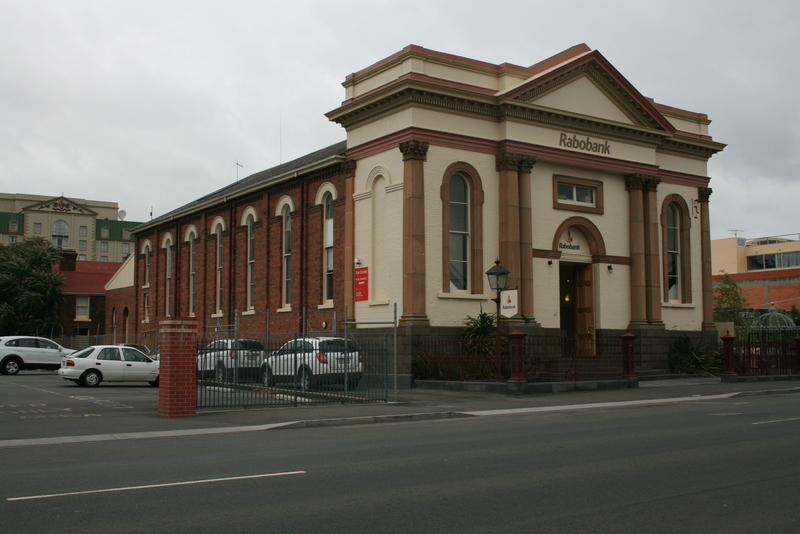 Services in the meantime were held in the infant school-room in Frederick-street. 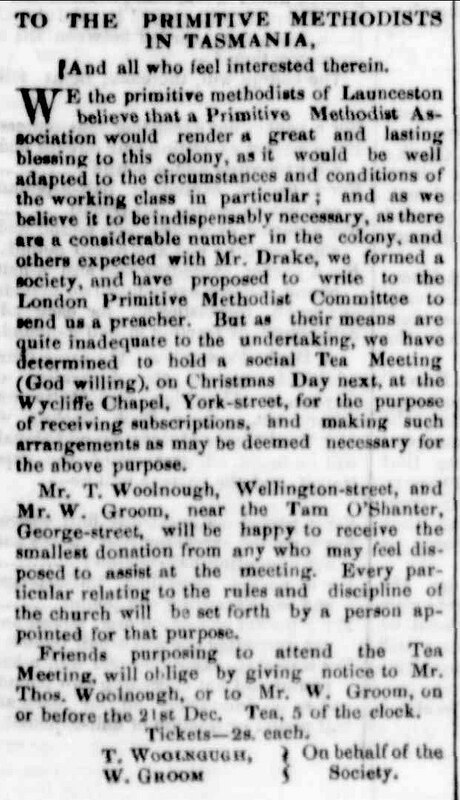 Mr. Price, in addition to labouring gratuitously for 14 years, built in 1848, at his own expense, the little Wycliffe chapel in Vincent-street, off St. John-street, for the greater convenience of some aged members of his congregation. 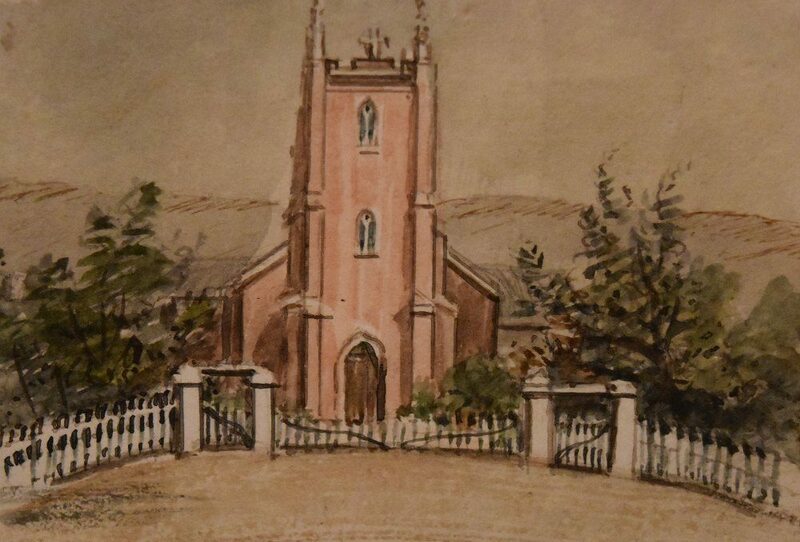 In 1858 he also induced his Tamar-street adherents to erect a chapel at Inveresk. 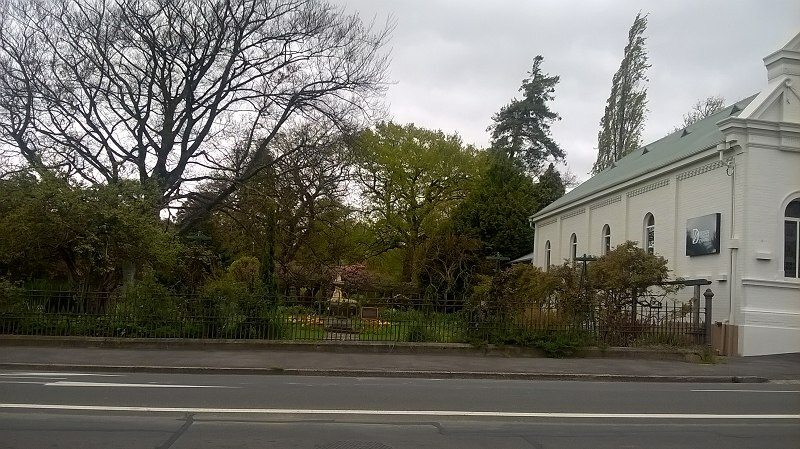 A small wooden building “then considered an old one, and erected in another part of the town [that] was purchased and removed on wheels to the allotment in Frederick-street, where it was converted into a chapel”. 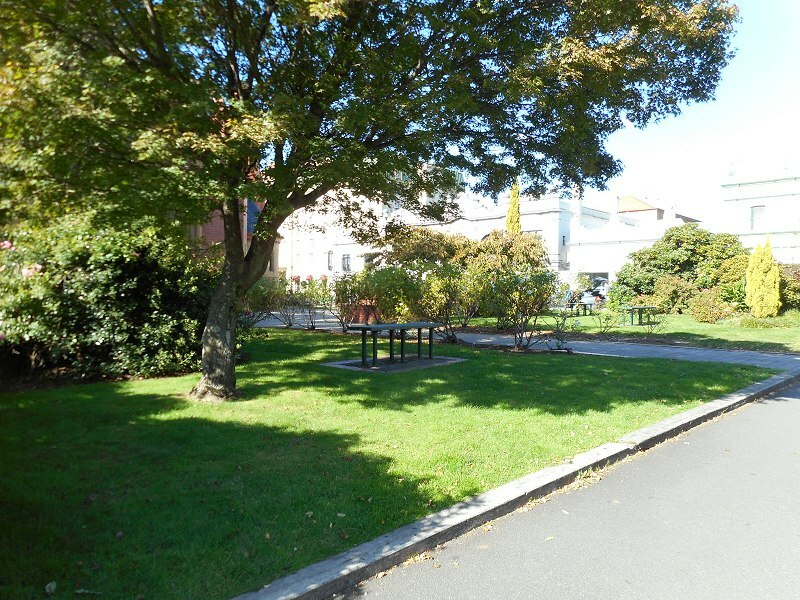 Located in Margaret, near/adjoining/behind the site of the present day Church of the Apostles. 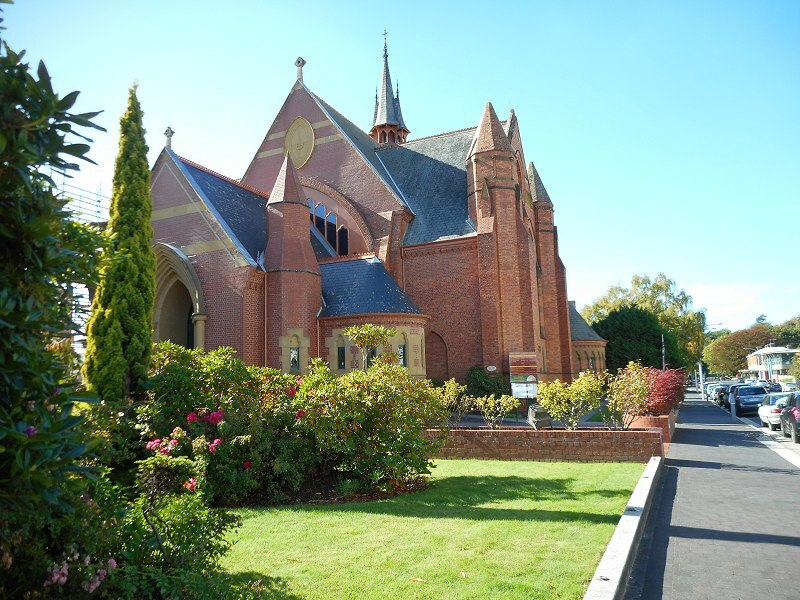 Prior to the opening of St Joseph’s, a temporary chapel was built in Cameron Street. It will be seen by on advertisement in another part of our columns, that it is the intention or the Roman Catholics to establish a Chapel in this town, in order that they may ” worship God according to the manner of their fore-fathers.” The Catholics have hitherto had no fixed place of worship, and have been obliged to resort for an occasional performance of their duties, to any building which might offer for the purpose. The establishment of a Chapel must therefore be looked upon by every friend to Catholicity as a very desirable object, for, although we do not coincide with the doctrines which that religion ?aches to be necessary for salvation, yet, we ?e ever anxious to give equal support to every religious denomination. Roman Catholics.— We are requested to state, that a temporary chapel has been erected in Cameron-street, for the accommodation of the Catholic portion of our community, at which place divine service is now regularly performed every Sunday morning, by the Rev. Mr. Cotham, according to the rites and ceremonies of that church. 1844 – 1902. Replaced by Holy Trinity. 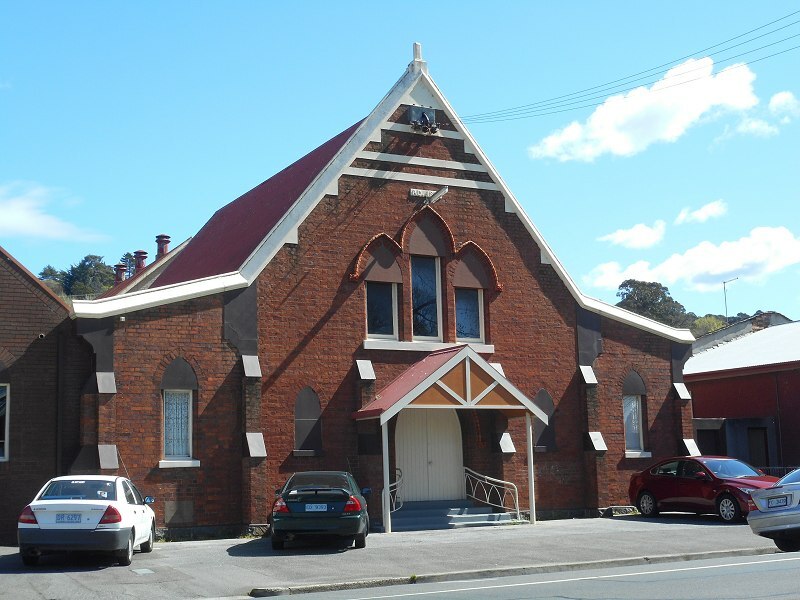 THE Foundation Stone of the NEW CHURCH in Launceston, (which it is proposed to dedicate to the Holy Trinity) will be laid on Wednesday, the 22nd September instant, by the Commandant Major St Maur, who has contented to undertake tab office. The Committee, Clergy, and friends of the Church of England, are requested to observe, that it is proposed to assemble at St John’s Church, at 2 o’clock precisely, and proceed from thence to the rite at the corner of George and Cameron-streets. Adequate arrangements will be made for the accommodation of ladies’ and the public, to witness the proceedings. In the Evening, Divine Service will be performed in St. John’s Church, and a Sermon for the occasion will be preached by the Rev. R. R. Davies. Service to commence at half-past six o’clock. After which a collection will be made in aid of the funds for the building. 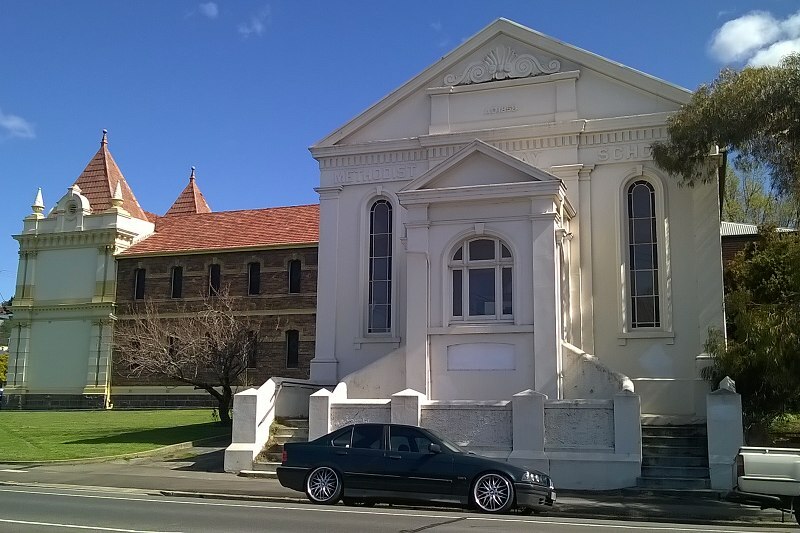 Looking across site of original church to the new one. We had not space in our last number to record the ceremony of laying the foundation stone of the new church in his town on Wednesday week last. Several hundred of the inhabitants were present to witness it, amongst which we were pleased to see a few sectarians, indeed, we hope, with a liberality of feeling for the success of the interesting object. Several ministers of the Established Church assisted in the service, and our much respected Commandant Major St. Maur laid the stone, under which was the deposited the various s coins of the realm, according to common usage. Cimitiere St, Launceston. Google Maps.